Gary, Do you know of a good on-line resource that shows this Fish Dam Road in relation to current geography? A lot of old-timers refer to it, and it shows up in old docs a lot, but I can't wrap my head around exactly where it was. I don't know if you plan to profile the Horton Grove settlement at Stagville separately, but it desperately deserves attention as a historic site. As a little shameless self-promotion, here's an essay I wrote on the Juneteenth celebration at Horton Grove in 2007. The resource anon mentions is a good one. I've read a number of different stories about Fish Dam road and the path it followed; I'd love to put together a Google Earth overlay at some point. Fairntosh is tomorrow and Horton Grove is coming up on Friday. The Bennehan-Cameron plantation was too big to do in one post. How do you explain the lone huge tree to the left of the house in the 1920's photo, and the lone large tree to the right of the entrance in the 1930's photo? How long would it take for a tree to attain that size? 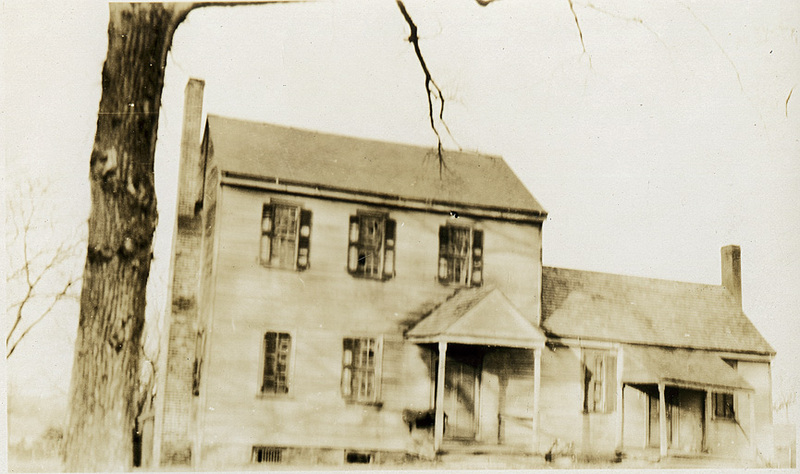 The construction of Stagville Plantation arose from Richard Bennehan's trek south from Virginia in 1768 to work with William Johnson at his store on the Snow Hill Plantation. He managed Johnson's store, living at Snow Hill for 8 years. It appears that he fought for the rebel side in the Revolutionary War - likely fighting in the Battle of Moore's Creek. With proceeds from his labor at Johnson's store, Bennehan purchased 1213 acres of land from Tyree Harris, former Sheriff of Orange County. 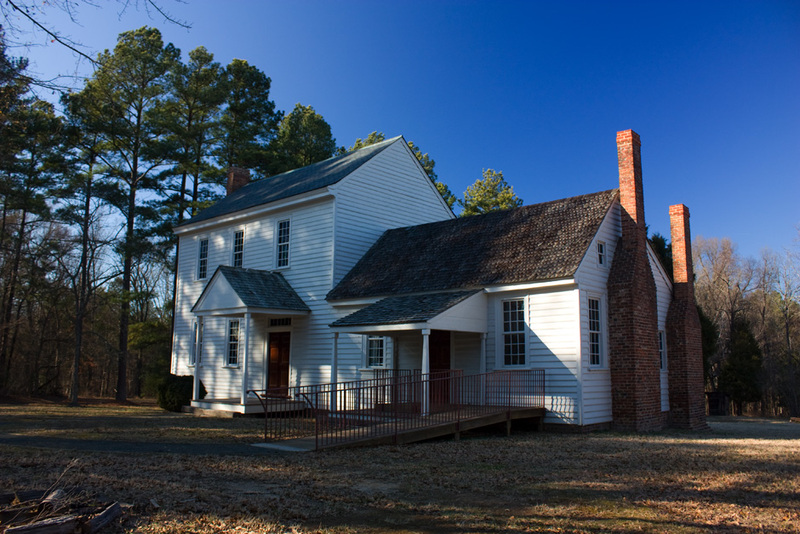 Bennehan and his new wife, Mary Amis, moved to Harris' old homeplace, the Brick House Plantation. Bennehan's wife had inherited money as well as five enslaved people from her father; she evidently brought these people with her to the Brick House plantation. After Johnson's death in 1785, Bennehan became executor of his estate; he sought a new method of remuneration. He purchased 160 acres of land from the Stagg family, known as "Stagg's Old Raw Ground" on the deed, but also likely referred to as Stagville prior to Bennehan's purchase. The land was bisected by the Old Indian Trading Path, which was the primary north-south route leading from Petersburg to the Catawba Indian land at the South Carolina border and the Cherokee land in Georgia. Johnson's store had been located on the trading path, and Bennehan likely saw significant advantage to having land on the path. His new location was also close to a pathway leading to Person County, and another leading southeast into Wake County. In 1787, Bennehan opened a store at Stagville, and somewhere between 1788 and 1790, he built a small, 24ft x 16ft house which later became the small wing off of a larger structure. A kitchen, smokehouse, milkhouse, and several cabins where enslaved people lived were constructed during this same period. A blacksmith shop was added in the late 1790s. The Bennehans appear to have prospered, though not ostentatiously, at least in comparison to some of the excesses that characterized southern plantations. In 1799, the original house was expanded with a larger addition, transforming the original house into a small wing. Though more stately than the original structure, the new structure was again unadorned with architectural ornament - a simple colonial style structure. By that year, Bennehan owned 3,914 acres of land. He had added barns, granaries, cribs, and stables. He also kept 42 enslaved people. The Bennehans had two children, Rebecca and Thomas. Rebecca would marry Duncan Cameron in 1803. In 1802, Richard Bennehan had purchased an additional 600 acres of land on the north side of the Neuse River, 10 miles from Stagville. He built a second store at the 'Fish Dam Ford' on the Fish Dam Road. The center of the ever-growing estate shifted to Fairntosh, particularly after Richard Bennehan's death in 1825. Thomas Bennehan inherited Stagville and lived there until 1847. Bennehan-Cameron land holdings would eventually grow to ~30,000 acres. In the 1880s, after inheriting both Stagville and Fairntosh from his father Paul Cameron, Bennehan Cameron moved to Stagville and began refurbishing the house. By 1887 he had moved to Fairntosh. After his death in 1925, Stagville fell into disrepair. Stagville, undated, but likely 1920s. In 1950, the Stagville-Fairntosh estate was divided between Cameron's daughters, and Stagville was sold to a timber company. After removal of the tract's trees, the timber company sold the house and land to Liggett and Myers Lige which donated the complex to the State of North Carolina in 1976. The Bennehan House was placed on the National Register in 1973. Stagville is currently a state historic site, and can be visited for free.